IIFT in my view is a way to get into the corporate maze. A maze with a variety of species trying to find their own roots, trying to determine their destinations. Each managing to ascertain their reason to be at this place. 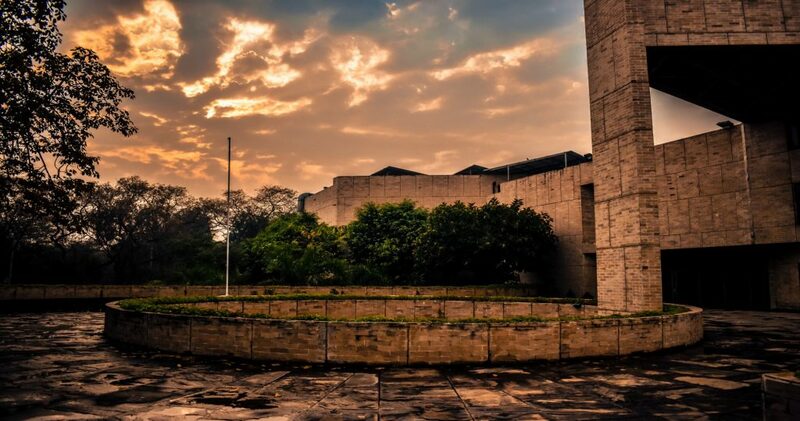 Entering IIFT is as exciting as living in it. The first foot I set in here pulled me into an undecided direction. Well, there in the corner there is a book with stories about this precarious place. The first story is about a sociable group of people who have lived a fair amount of time journeying through. They have worked through the maze and found their way to the biggest treasure trove, known to man – ‘THE WINGS OF WISDOM’. Sharing how they started their journey, how they prepared themselves for this and the obstacles they’ve faced. At the end of their story, they left a note saying that, “ you will feel the peace of finding wisdom under the wings of the ancient expeditionary”. Reading this I felt excited and decided to move further. I started by reading the next story on my way to find the place stated in the previous story; it had a weird title that made me anxious as to why was it so. ‘There might be no gender diversion’; what does it mean? why is it titled so? All these questions were running through my mind. While reading it I realized it was talking about a hostile place in the heart of the maze where many diverse people had settled. Some who had settled here already (alumni and seniors) or people who had been to the Wings, while others were people( fresher ) who were still expediting to find it. But before I could finish reading more about these people and their story. I realized that these stories are still unfinished and every time someone reads them, a new page is being added by another. So far what I have realized is that there is still a lot more to explore and know about everyone else. But for me ascertaining my true goal was made easy by people living in this maze. Their stories were my guidance; a true treasure that anyone could ever ask for. And reading each story I realized that one day I would like my journey to be with IDEA CELLULAR LIMITED. One of the leading telecommunication companies established by Aditya Birla Group. To harness both my telecommunication and managerial knowledge through this company.